Great service from James at Redgate Lodge. Test drove my new car last Friday and collected on Saturday less than 24 hours later. James was great from start to finish. Great service and I'd recommend Redgate Lodge to anyone. Top notch customer service from the moment I walked in the door. Was given all the information on the car I was interested in including buying options. When I picked it up it was gleaming. Recommend Redgate Lodge to anyone looking to buy a car. Just been to pick up my wifeâ€™s car today and the service we received was amazing from start to finish . We have bought a lot of cars in the past but this was the easiest experience that we have ever had . The car is also amazing . We wonâ€™t go anywhere else now !! Thank you to Scott and Sam . Once again great service from the team at Redgate Lodge. They managed to fit me in for my annual service and MOT even though I had left it until the last minute. Gave me honest advice rather than money grabbing like some other garages do. Great work and a great price so I will definitely be back next year. Just bought my Jaguar XF from redgate lodge this week and I would highly recommend them to anyone looking for a new car, the service I received from the lads was great no doubt I will be going to them again in the future. Excellent service would defiantly recommend very friendly helpful staff and no hanging around. First class service pleasure to do business with. Louis and Sam outstanding. Just picked up my c250. so far so good. I had a private plate on the car I give as part ex and they sorted it all out, not a bother. I spoke with both Sam and James and both lads are down to earth. Great customer service. Scott and his team provide a great service, from the price of the car, the detailed walk through, to the after sales service. Highly recommend anyone to visit Redgate Lodge for a new vehicle. You will not be disappointed. Hats off to you guys. The salesman Sam was fantastic from start to finish the guys at redgate lodge are so helpful really friendly but most of all Sam was brilliant like I mentioned he's a credit to the company thank you so much Sam. 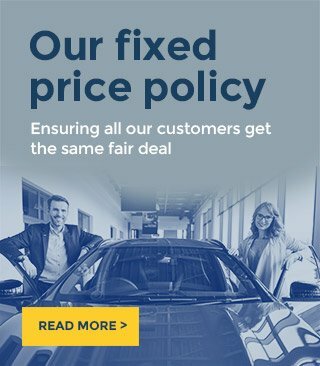 Would definitely recommend this company to anyone wanting a new car. Bought my mini 4 years ago and have always had great service and advice since. I have a new car now, but would go back just for servicing and maintenance, despite buying my new car an another dealership! Recently bought a Ford fiesta from these lads, I traded in my old car for it and I must say the lads who work there are just unreal, good Craic about them all and really know what they're doing, more than happy to help in any way and I couldn't be happier with my new car! Would recommend these to anyone who is looking to buy and or trade in a car! Just bought my new car from Redgate lodge and couldnâ€™t be any happier! Great car and great lads who go out there way to help you with anything and sort you out with your next motor. 100% will be returning for my next car. Cheers lads! We recently bought our Ford Focus from Redgate Lodge, when we arrived the staff were friendly, welcoming and knowledgeable. We asked about the Focus and were immediately given the key and an umbrella as it was raining, we were told to take as long as we wanted, no pressure at all. The car was beautifully presented and we both fell in love with the car. Stew arranged our finance and gave us a great deal on our part exchange. When we arrived to collect our new car, Sam helped us through the rest of the process and even helped us with transferring the child seat from our old car to the new car. Iâ€™ve already recommended Redgate Lodge to my friends and family, thanks once again guys. Absolutely over the moon with my new car! The staff were very helpful and patient and helped me change over my private plate to the new car. The car is absolutely gleaming and I couldnâ€™t be happier. Thank you very much Redgate Lodge Iâ€™m over the moon!